Make sure your paint trays never run dry with this money-saving watercolor Mega Pack! 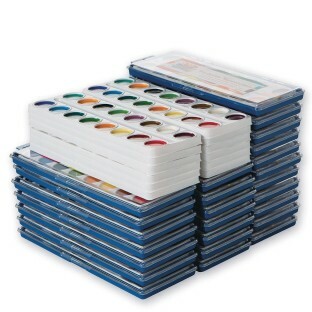 Includes 24 oval 16-color semi-moist trays with wood handle brushes and 12 refills! The trays include a snap close lid that doubles as a mixing palette. It's the economical way to buy for your large group! Another teacher and I purchased this set of paints. After 1 art project we ran out of brown and green other product I have used in the past this has never happened. The colors are off the paint was difficult to use and the pods of paint are very very small. I would not recommend using this product. This product is great! 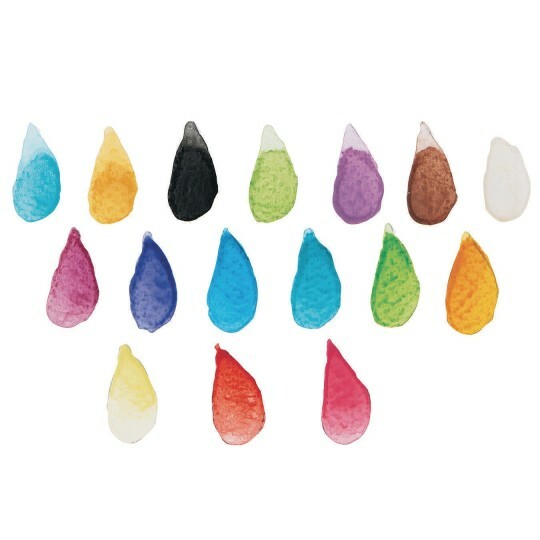 It gives a great assortment of colors that are easily washable. The kids love that they get to paint and I love that all I need to clean up is a damp sponge. Best price for the quantity too!